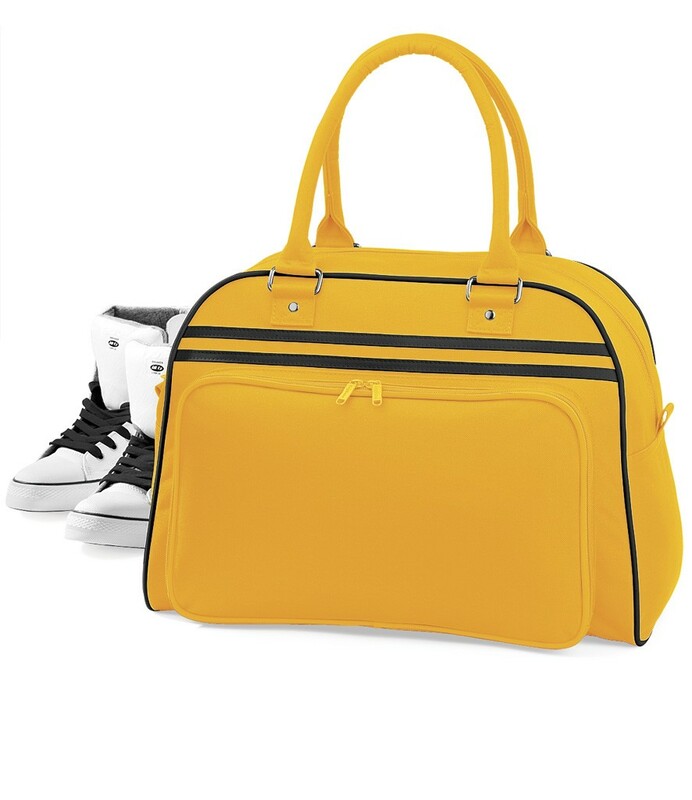 A retro style small holdall ideal for school or college. The BagBase BG75 Retro Bowling Bag in 600D polyester. Features: Self fabric carry handles. Zipped front pocket. Internal zipped pocket. Internal mesh pockets. Capacity 23 litres. The BagBase BG75 Retro Bowling Bag matches the BG71 Retro messenger Bag and BG78 Mini Reporter.